Robin Hood, an American adventure film, is a tale of the folk legend stating how he turned from a war-hardened crusader to a noble outlaw. Robin of Loxley, with his experience of war, decides to launch an audacious revolt against the corrupt English crown of that time. 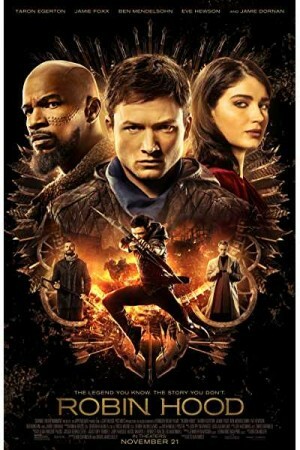 While he is accompanied by Jamie Foxx, his Moorish commander, the movie tells the tale through a thrilling action-adventure packed script. The timeless romance, mind-blowing fight choreography and gritty battlefield exploits take you to back in time when Robin Hood originally fought the war against corrupt riches with his bow & arrow. Get ready to witness how the war-hardened outlaw proceeds towards his intent.